It is no secret that technology changes, improves, and modifies at an alarmingly fast pace. It seems that for every type of security system, firewall, or encryption there are hundreds of new viruses and bugs that form as well. In order to ensure companies can keep up with changes in the technology industry without becoming susceptible to viruses, data center designers create adaptable and solid structures. 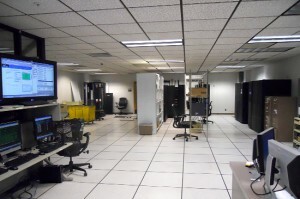 Most data centers can last anywhere from 10 to 15 years, which is practically eons in technology years, so it is important that they remain structurally secure and sound while taking care of the data that is processed, connecting all necessary devices to a network, and protecting systems in the midst of updates and daily work. By updating the design of a data center, companies that are looking to keep their influxes of information safe can more easily. IT departments work with architects and other programmers to ensure that Nevada data center designs are safe and work as efficiently as possible. They do this through helping to create ways in which a system can still be functional in the midst of updates. Apart from speeding up the ability of networks to functions and staying ahead of the curve, these updates can more quickly alert IT professionals to any type of problem that comes up, as well as help to solve it as quickly as possible. Of course, it is necessary to secure the physical location and structure of a data center, but perhaps even more important to secure the data that is kept inside that center. It is also important to keep in mind that the security of both physical and virtual aspects of a data center depend on how well that center works. For this reason, it is important to get a data center design that can be regulated and kept in a steady and controllable environment. Nevada data center design professionals use a few different tools to ensure that safety is the top priority and function. Naturally, a data center cannot be protected the same way that regular networks or data sites are. Because there are so many wireless and wired devices linking to the same network or cloud, security must be innovative and cutting edge. Since most data and connections are wireless, new ways are being devised of splitting up the computing power of a data center and channeling idle portions to places that need more computing power. Relying both on the computing power of data centers, as well as new antivirus software and other developments, companies can be certain to keep up with security as often as necessary. By implementing both physical and virtual software applications, those in charge of Nevada data center design have come up with ways for administrators to keep track of data and activity in the center as well as much of the activity that goes on throughout the network. There are certain programs that can be downloaded that can give alerts when policy violations come up, when there is a threat to the system, or the environment around the data center changes. Through the many changes that technology goes through, having a reliable and secure data center design is absolutely necessary. 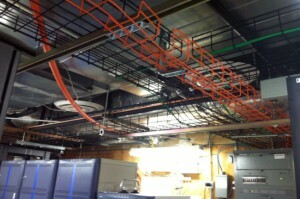 This entry was posted in Data Center Design and tagged data center design, Nevada Data Center Design. Bookmark the permalink.